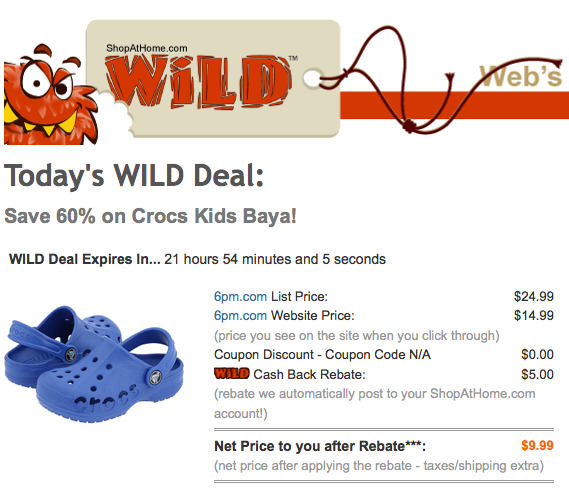 Shop at Home has a WILD deal for today only or while supplies last. The is for a Crocs Kids Baya from 6pm. The are on sale for $14.99 (org $24.99). Plus you get $5.00 cash back. Your final cost is $9.99 after cash back.